A new report exploring the impact of austerity on Welsh councils has been published. The Wales Fiscal Analysis – new research body within Cardiff University’s Wales Governance Centre – undertakes authoritative and independent research into the public finances, taxation and public expenditures of Wales. The report contains analysis of nearly a decade of austerity – noting that it “has significantly changed the financing and spending patterns of local authorities in Wales”. 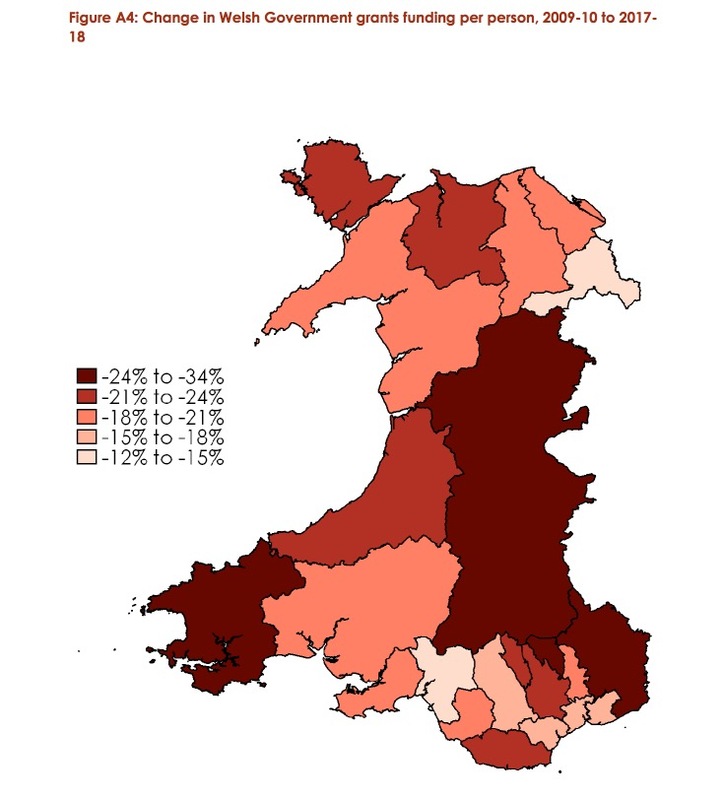 It continues onto say that the “overarching trend in Welsh fiscal policy” over the past 10 years has been a shift towards local taxation – with grant funding from the Welsh Government falling nearly a “fifth in real terms from 2009-2010”. Locally we have documented the debates over budget cuts and council tax rises, with a stark change in ‘messaging’ from the council where previously we had grief for directly referring to ‘cuts’ instead of using softer buzzwords of ‘reshaping’. However the new Chief Executive, Ian Bancroft now bluntly says there is ‘no money in the bank’ for 2021. 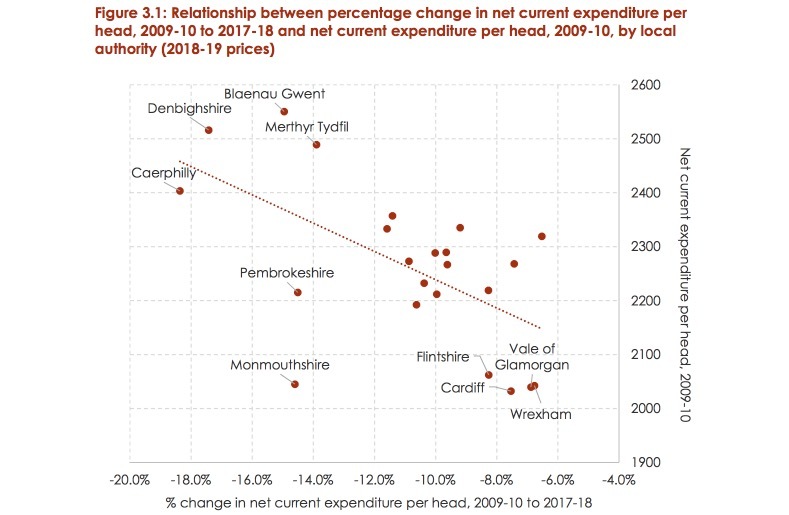 The report from Wales Governance Centre notes that the increase in council tax and other locally sourced revenue has not offset the fall in grants and net current spending on local services has been cut by over 10% per person in real terms. Their findings state: “The spending areas that have been most severely affected by these cuts are planning and economic development, libraries, culture and heritage, as well as roads and transport. “Even in the two better-protected areas of spending, social services and education, spending has struggled to keep up with increasing demand and costs. “Spending on older adults’ social care per person over the age of 65 has fallen by 14.8%, while increasing numbers of primary school pupils has meant spending per pupil has fallen. 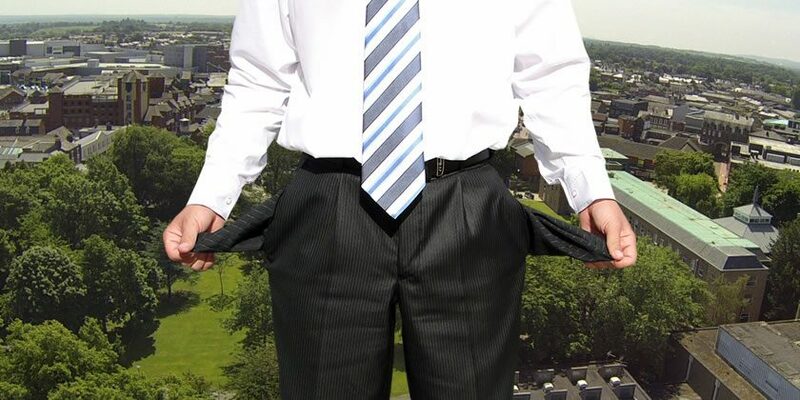 Up the road in Flintshire councillors decided to get on a bus to lobby Welsh Government directly, locally Cllr Jenkins wanted a double digit rise and other councils around Wales have seen larger than palatable council tax rises. The report says their analysis indicates that ‘large increases’ in council tax levels can be expected and ‘spending on some services being cut again in real terms’. When the local council funding settlement was unveiled there was lots of criticism levelled at Welsh Government from the Guildhall. At the time we asked local Assembly Member Lesley Griffiths her thoughts (read them here), where she noted: “It is fair to say the Welsh Government prioritised health spending over local government. 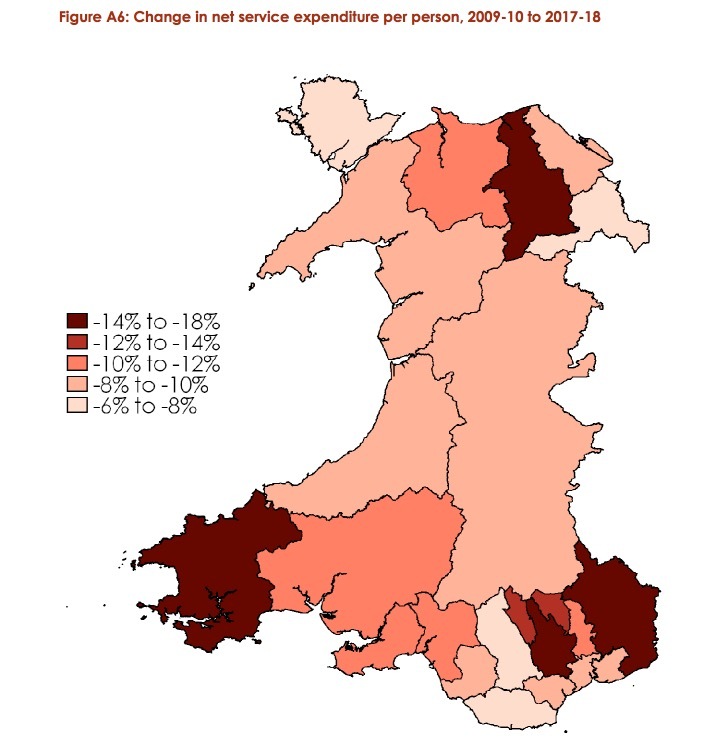 The new report comments on the Welsh Government policy and makes a council tax prediction: “While the Welsh Government budget is set to grow over the next five years committing to increase NHS spending at the same rate as the planned increases in England would likely mean central government support for local authorities continuing to fall in real terms. With new taxation powers being placed in Cardiff Bay the report looks at possible implications and have modelled some scenarios: “In contrast with the first two decades of devolution, form 2019-20 the Welsh Government will also be able to use its tax policy levers to significantly affect the size of its budget. “An increase in Income Tax rates in Wales would raise additional revenue to spend on public services. “By 2023-24, a 1p increase in the basic rate would raise a similar amount of revenue as an additional 2 percentage points increase to Council Tax levels each year. “However, the distributional impact of this extra tax burden in each case is likely to be very different. Council Tax increases would tend to take a higher share of income from poorer households. On a local level the ‘debate’ is a message often mentioned by senior councillors over taxation and spending, and the new report also speaks of wider ‘debate’ on the topic; although nothing is offered in how that takes place aside from the usual ballot box and consultation sessions that see small percentages of people actually taking part. The report states: “The Welsh Government therefore faces a political decision over the use of its new fiscal powers and its existing powers over local authority budgets and taxation. The focus of the report is on the effects of austerity and if that were not to continue the outcomes could be different. Locally we have previously asked the most senior conservative councillor about that topic shortly after Prime Minister May indicated austerity is ‘over’. We asked Cllr Hugh Jones if he saw a corner being turned in the near future with things due to get brighter for public finances when he was discussing council budget cuts and council tax rises. Cllr Jones told us: “I think given all the circumstances and given the economic crash suffered we in 2007 the overall management of the UK economy has been sound in terms of the fact we have the highest level of employment we have ever had. “You don’t need me to tell you that, as that is what the party will tell you, we have got the highest number of people in work we have ever had. The report also includes several interesting tables and data visualisations, including this pair of maps that we have chosen to include below.